We're only a few weeks away from the official start of Spring. Restaurants are the perfect seasonless escape as our favorite dishes, beverages and ambiance awaits us. Dos Caminos, a popular Mexican restaurant with locations in NYC is part of the BR Guest Hospitality group, and is known as a place to enjy savory and sweet options along with an array of cocktails that are always perfect to enjoy for lunch, happy hour, dinner or late night drinks. This month's food editorial, shot at the Park Ave location, shares key dishes that can be enjoyed on your next visit. We chatted with Executive Chef Ivy Stark about how she came to work at the restaurant and why this is a haven for New Yorkers and tourists! 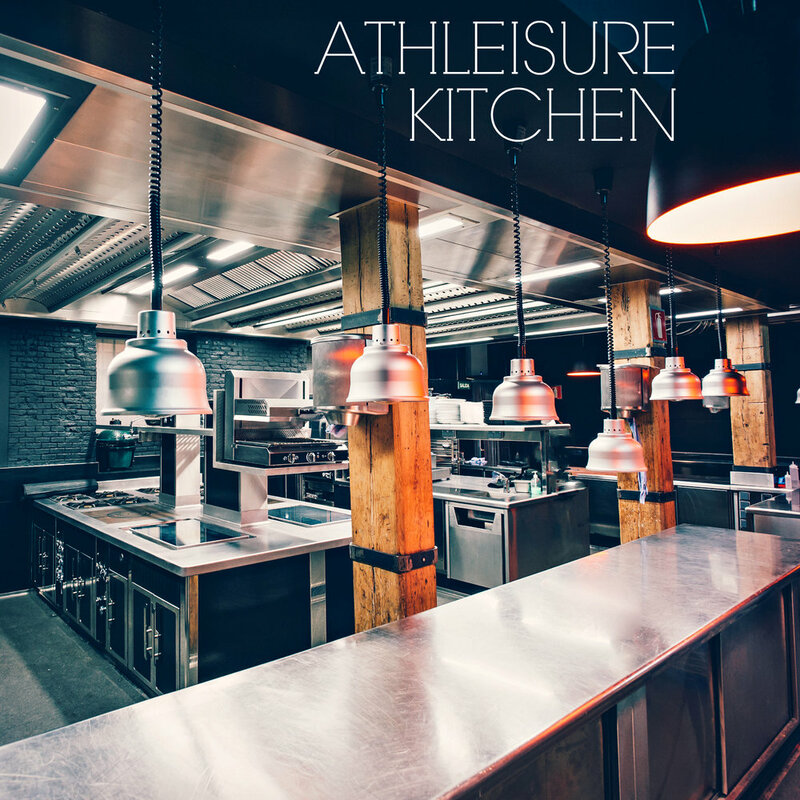 ATHLEISURE MAG: Tell us about your background and what led to you become a chef. IVY STARK: I grew up in Colorado and loved to cook from the time I was a young child. My father was a hotelier so I sort of grew up in the business. I remember loving going to the restaurant shows and seeing the displays of chaud-froid and ice carvings and being enthralled. After studying history in college, an eating tour of Europe convinced me that I wanted to wanted to be a chef. I returned to the U.S. and started cooking school in New York. AM: Prior to being the Executive Chef at Dos Caminos, where else have you been and how long have you been at Dos Caminos? IS: I've been at Dos Caminos for 14 years, before that I worked at the Border Grill and Ciudad in Los Angeles, and then moved back to New York and worked at some great fine dining restaurants such as Sign of the Dove, Cena and Amalia. AM: What is it like being a chef at Dos Caminos and what is a day in the life like being there? IS: It is amazing being the chef here. I have a wonderful brand to work with and a great staff that's my second family. Typically, I spend the day in the kitchens overseeing the food going out to the dining rooms. I will spend some time in the test kitchen doing research and development for new menu items and specials, and then I do have to do some administrative work, reviewing schedules, food costs, working with vendors to ensure we get the best products. AM: What elements of your cooking style have influenced the menu? IS: My style is to be creative, but to respect authenticity, and the foundation of Mexican cuisine I have learned from great traditional cooks in my travels through Mexico and my ongoing study of the ever-evolving Mexican kitchen. I love bold flavors, and beautiful colors presented simply and naturally. 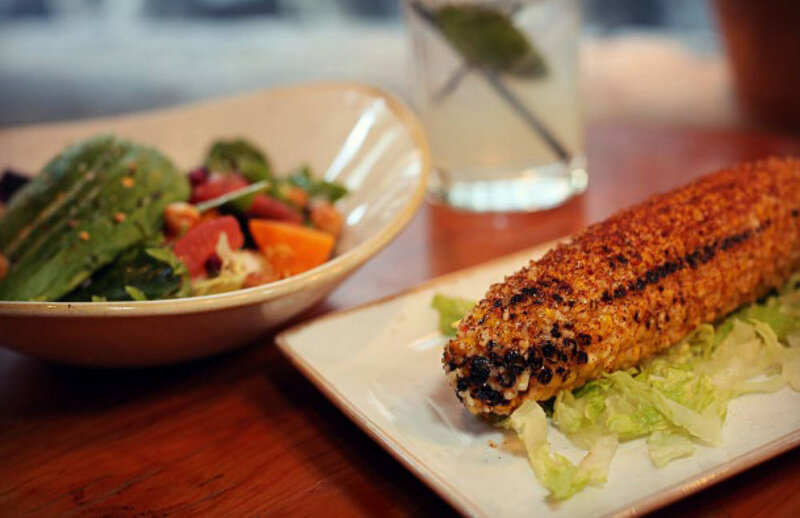 AM: How does the Dos Caminos menu reflect the seasons? IS: We are dedicated to keeping our menu seasonal and change it four times a year to reflect that, only using in-season produce. In addition, we look at the seasons in terms of textures, temperatures and flavors - lighter, cooler fare in the summer and heartier fare in the winter. AM: During the winter and early spring, what can we look forward to on the menu? IS: We are in the process of working on our spring menu right now, we will be looking at what we can do with ramps, asparagus, spring radishes and onions, fava beans, pineapples, and strawberries. New York weather is fickle, sometimes spring comes around in March and sometimes we have to wait until June. AM: What classics are mainstays on the menu and which ones get updated from time to time? IS: The Dos Enchiladas - roast chicken enchiladas with mole poblano is a longtime crowd pleaser, as is our Shrimp Quesadilla; guests come in to order these specific items so we leave them alone. We are always looking at ways to items to reflect dining trends, but we listen to our guests' feedback. If they want us to leave something alone, we leave it alone. We have a seasonal guacamole that is updated four times a year based on the best available produce. We always have a rotating assortment of amazing seasonal ice creams and sorbets. Those are a couple of items that you can count on changing. AM: What are your favorite dishes on the menu - from appetizer, main dish, sides and dessert? IS: I am asked that question all the time and it's really a bit cruel - it's like asking who is my favorite friend! With that said, today if I were dining at Dos Caminos I would have the guacamole, persimmon salad, grilled Mahi Mahi tacos, Mexican street corn, and the sweet corn flan to finish; tomorrow I might choose a different menu. AM: Is there a secret menu at Dos Caminos? IS: There is - we have a secret shrimp guacamole, a chicken quesadilla, and a very special brunch item - the quesadilla benedict. AM: One of our favorite times to swing by is during Happy Hour - what are key beverages that we should try on our next visit? IS: You can't go wrong with our El Camino margarita, we use freshly squeezed juice for our sour mix and there is no substitute. I like mine up, very cold, with salt. We also make a killer red and white sangria. Read more from the Feb Issue as well as see Athleisure Kitchen's Dos Caminos in mag here.